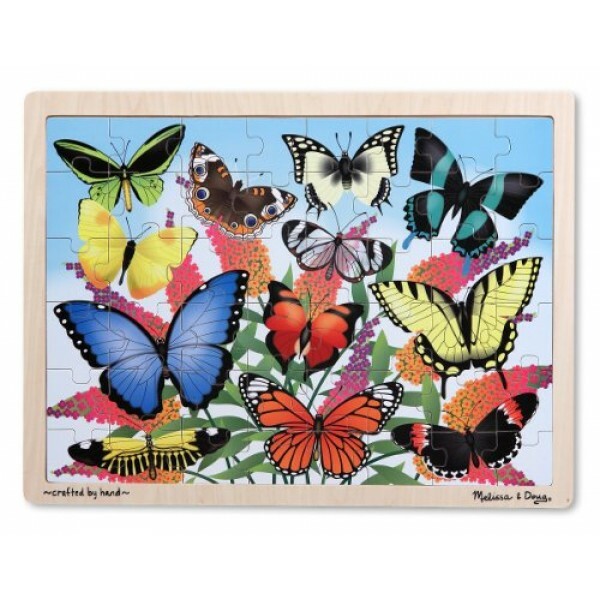 Glorious butterflies flit and flutter through a blooming garden in this 48-piece jigsaw puzzle from Melissa and Doug. Durable wooden pieces and board ensure this scene will always be in season. 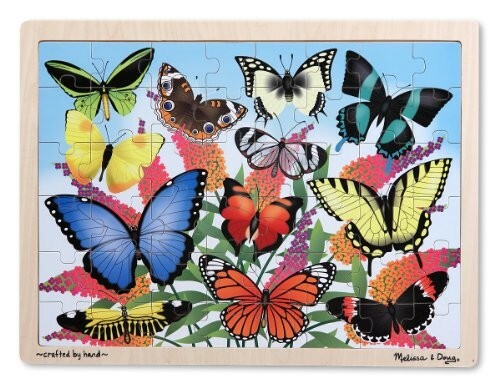 With good-sized pieces and finished dimensions of approximately 11.75 by 15.75 inches, this is perfectly sizes for advancing preschool puzzlers.